Power Martial Arts Students learn five martial art styles. Masters Lori and Matthew Brown teaches the finest traditional martial arts. Power Martial Arts is a blend of Korean Karate Tang Soo Do, Ju-Jitsu, and Aikido. Tang Soo Do is a Korean form of hand and foot control using strikes and blocks. Ju-Jitsu is a Japanese art form that uses manipulation and throws to disarm or defend a grabbing assailant and also uses blocks and strikes. Aikido is also a Japanese art form that uses techniques that twist, bend, and break joints using pressurepoints by controlling the opponent without using strikes. Upon the proper belt level and age of the student, the student will have the option to learn two more styles; The Filipino styles of Modern Arnis and Kali (the art of stick and knife fighting). 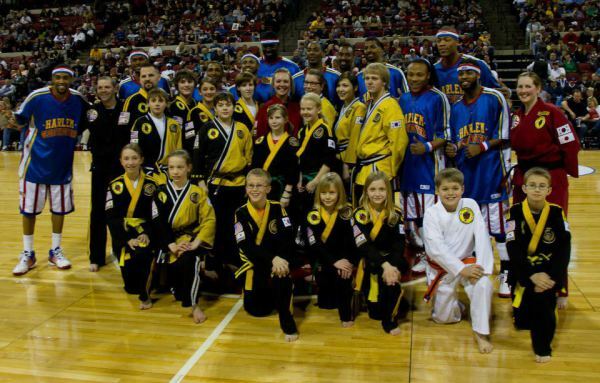 Power Martial Arts was created and founded by Masters Lori and Matthew Brown in 2006 in Billings, MT. After 10 Years in Billings, MT., Power Martial Arts is now located in Wesley Chapel / Zephyrhills Florida area. Masters Lori and Matt's goal as instructors has and will always be providing their students with World Class Martial Arts Training. They Don't beileve in taking any short cuts. They want each student to work hard and earn their belt levels. They also want each student to understand that the program is a self-paced but individually challenging. Students are on their own track to acheiving whatever their individual goal.